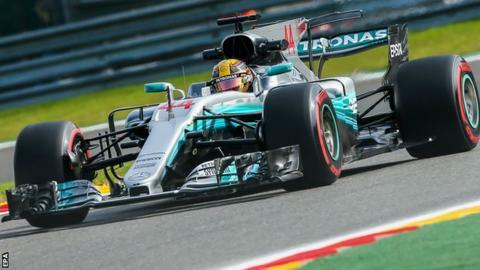 Lewis Hamilton started his Belgian Grand Prix weekend in perfect fashion as he set the pace in the second practice session. Hamilton was 0.262 seconds quicker than Ferrari's Kimi Raikkonen in second, with Mercedes' Valtteri Bottas third. Hamilton's title rival Sebastian Vettel - 14 points ahead in the title race - was fifth quickest, 0.482secs down. Red Bull's Max Verstappen pipped Vettel by just 0.01secs to separate the German from the rest of the front-runners. Hamilton strong, but do Ferrari have a secret? Hamilton was in strong form all day. Although he was second behind Raikkonen in the first session, the margin was only 0.053 seconds and Hamilton set his time on the slowest of the three types of tyre, the soft, while Raikkonen was on the ultra-soft. Hamilton was also quickest earlier in the second session, when he was running the soft tyre again. 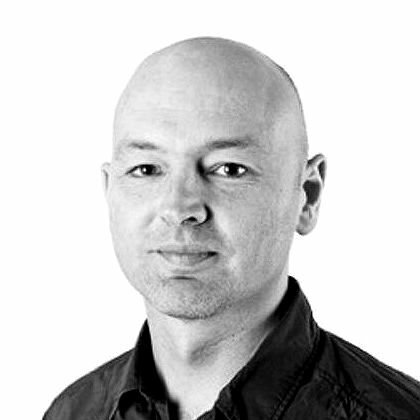 He was 0.7secs quicker than anyone else, with Bottas in second on the super-soft. However, the long runs later in the session told a different story. On the so-called race-simulation runs, when teams fill up their tanks with fuel and practise the first part of the race, Vettel was 0.7secs on average quicker than Hamilton, with Bottas a further 0.1secs back. "It was a good day," said Hamilton. "The car was feeling good from the get-go and the set-up changes we made were in the right direction. "On the long run, the Ferraris looked quickest but I don't think we are in a bad place." "They looked very strong," said Vettel. "Whenever they went out, they had the possibility to go fast. "For me I was not so happy. I did not really find the rhythm, especially on the short run. The long run was better. So overall I think the car is there to do the job, to go fast, but we just need to get it right on all fronts and I just need to do my job and then we should be fine." But that was only a brief snapshot because rain started to fall with about 25 minutes left of the session and the drivers all returned to the pits. With heavy rain falling, and wet weather forecast for the weekend, drivers went out to experience track conditions. Red Bull's Daniel Ricciardo, sixth quickest in the dry after a difficult session, and McLaren's Fernando Alonso, 11th, both tried the intermediate tyres. But Alonso said there was "too much rain" for the lightly treaded tyres and Ricciardo was warned to exercise "extreme caution" on his way back to the pits after just one lap. Current weather forecasts expected rain to affect Saturday's qualifying session, but not the race on Sunday. Behind the big six, Nico Hulkenberg continued Renault's improved form with seventh fastest time, his team-mate Jolyon Palmer also showing better pace after a difficult first half to the season in 10th place, 0.3secs behind the German. The Renault drivers were split by the Force India of Esteban Ocon - four places ahead of team-mate Sergio Perez - and Toro Rosso's Carlos Sainz. It was a difficult day for the Williams team. Felipe Massa missed both sessions after a heavy crash at Malmedy on his first flying lap in the first session damaged his chassis and required a new one. Team-mate Lance Stroll was 15th fastest, three seconds off the pace.